Running Springs, CA – On February 18, 2016, at approximately 9:00 am, Arrowhead Area officers responded to the scene of a suspected traffic collision on SR-18 at the 4000 foot level. 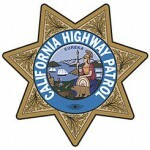 Ms. Jennifer Mae Shipcott, a 45 year old resident of Riverside, California, was driving her vehicle southbound on SR-18. For an unknown reason, Ms. Shipcott drove her vehicle into a turnout at the 4000 foot level, over the south curb edge of the turnout and went down a steep hillside. Her vehicle overturned several times before coming to rest on its left side in the number two lane of SR-18. Ms. Shipcott sustained fatal injuries as a result of this event. The event is being investigated as a suicide. Later that evening, a separate incident happened at the same location. In this incident, Mr. Paul Albert Chuderski, a 42 year old resident of Riverside, California, drove his vehicle off the road at the same location. Mr. Chuderski has been identified as the boyfriend of Ms. Shipcott. This incident is being investigated as an attempted suicide.